My husband cleans his Conair shaver kit before he will trim his son’s hair. 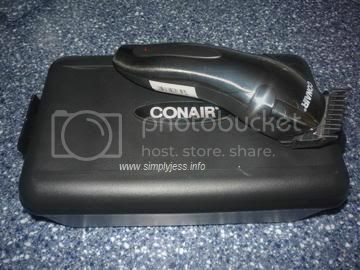 I love this Conair kit because it comes with everything you need. It comes with different numbers of shavers and hair accessories too. My husband is planning to give our son a brush cut. It sounds so easy, right? Every time he touches our son’s head he screamed and I thought he was just being a bad boy and that he doesn’t want a haircut. We give up because he was really bad. We just went to the saloon and he was fine. The problem with my husband’s shaver is? It is backwards that’s why my son screams so badly. Instead of trimming his hair it pulls his hair. I feel so sorry for my son. This is our son in his new brush cut. Does he look handsome? We paid $17 which is not bad. My husband will do it next time. This entry was posted in accessories, hair dresser, hair style, head, saloon, services and tagged brush cut, Conair on February 29, 2012 by simplyjess. She is only five years old. She often has her hair cut at the saloon. I really want her to have a long hair. Every little girl has long hair, right? The only thing is, her Daddy wants her to have a short hair. She was sick recently that her long hair makes her more slim. She had her cut yesterday. I let you compare which hair style does it look cute on her. This entry was posted in hair style, health, saloon, services and tagged hair cut on October 17, 2011 by simplyjess. Finally I went to the saloon and had a hair cut. I finally cut my long to short hair. It feels great that I do not need to pony tail my hair. I do no have the problem with short hair. I know that it will grow long again. My hair grows fast. I always like short hair. it is easy to keep up. The hair dresser did a wonderful job cutting my hair. She even asks me if I really want a short hair. She said I have a healthy hair. I paid $22 which includes $5 tip that I gave to her. She was a nice woman and I like her. 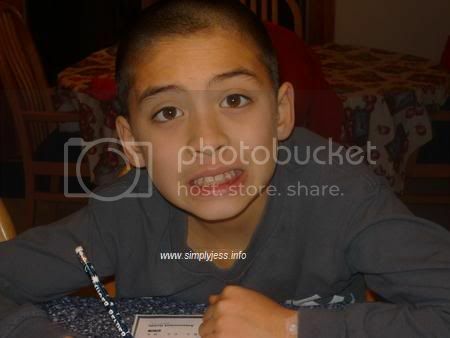 This entry was posted in hair style, saloon, services and tagged hair cut, short hair on October 1, 2011 by simplyjess.